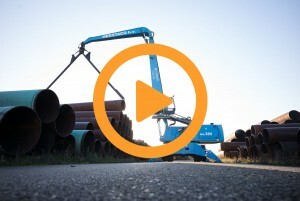 Europe’s main supplier of first choice and downgraded, second choice steel tubes: Herstaco. The stock of steel tubes is wide and deep: first choice and downgraded, second choice steel tubes, with an outside diameter range of 168 – 2.500 mm, in various wall thicknesses. Herstaco has spiralwelded, longitudinally welded and seamless tubes on stock. Steel tubes and much more! Depending on the needs of the customer, Herstaco can perform various additional added services. For example: flame cutting to the desired length, welding to length by laying crosswelds, the welding of sheet pile lock and performing construction work. You can find more information under Herstaco Tube Welding B.V.